Maastoa Warhammer 40 000, sekä Kill Team ja muihin scifipeleihin. For gamers, this set adds another layer of tactical depth to your tabletop. 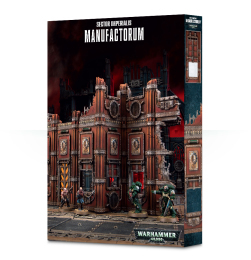 You’ll be able to use it as cover for even larger models, or scale it with infantry for a height advantage on your foes.